In last year’s family separation crisis, @CBP and @DHSgov sent parents apprehended in South Texas all over the country because of alleged spacing issues. There is nothing to indicate that things are different now in terms of capacity. Up until three weeks ago I was a #border/ #immigration reporter working in #ElPaso. Let me tell you why President Trump’s visit to the #Borderland is so problematic. Follow this thread for more. Honestly, @DrToddACurry put it best. #ElPaso has been the President’s “petri dish” for #immigration policies. Let’s take a look shall we? Starting Sept.2017 @LasAmericasIAC starts reporting parent/children separation, despite legal documents showing relation. There was little I, as a journalist, could do when both parent & child were out of reach for interview & @ICEgov wasn’t talking. All the factual reasons why a #Wall is simply a bad idea. Now, in case anyone actually thinks the Democrats are just being obstructionist for the sake of obstructing let me remind you that, in this case, the "Tax and Spend" party is actually being quite reasonable. If nobody, including the President himself, has no clear idea of how much a phantomatic #BorderWall could eventually cost why should the US Taxpayers even begin to give the govt. their money? I have written about the perilous reach of #JohnKelly since Jan 2017. He has repeatedly been given a pass despite being a virulent racist and misogynist who also authored #ZeroTolerance and the Muslim and trans bans. This is unconstitutional and illegal. If you somehow missed #JohnKelly's rich history of awfulness which dates back to his days at #Guantanamo,here are some reminders of who he really is. He's the architect of Trump's #WhiteSupremacist war on brown people, particularly at the Southern Border. But before #JohnKelly hated brown people, he thought hating black people made a lot of sense. 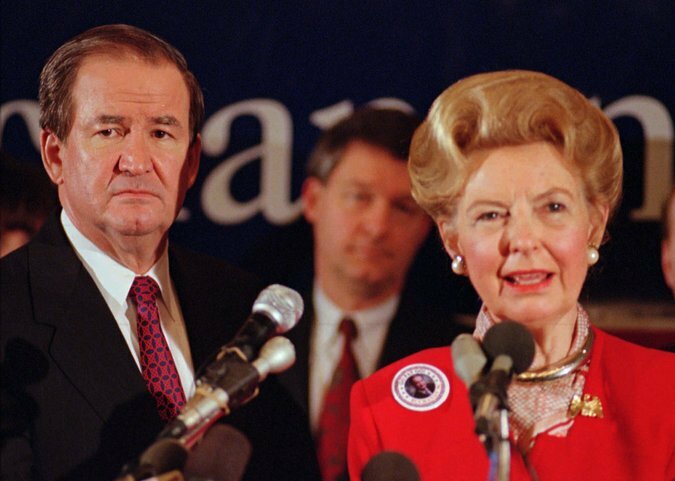 Never forget that he lied about a black war widow and a sitting black congresswoman and refused to apologize when he was called out for it. If people you know who are always commiting Crimes, do you #WalkAway or do you become an accomplice in their crimes? 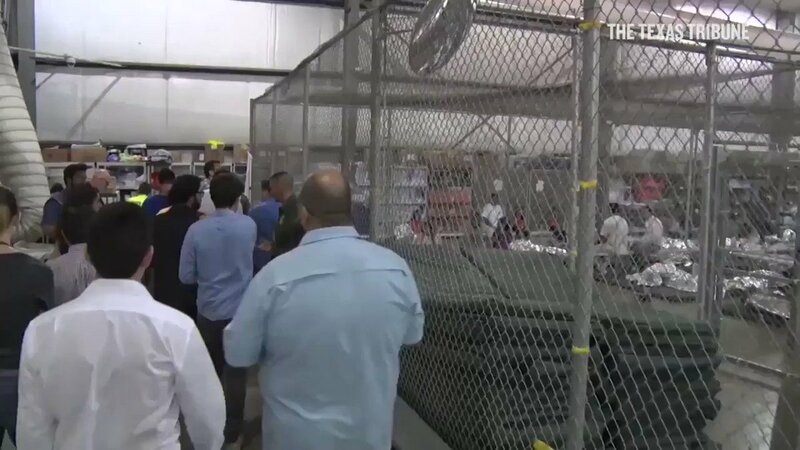 Detention centers for adult asylum seekers and subsequent "tender care"/foster care facilities are administered at the state, not federal level. This <thread> provides a background on the process involved in awarding these contracts. (3/16) On Jun 21, @nytimes published this map of the states which have licensed "tender age"/foster care facilities for detained youth asylum seekers. It's vital that these minors are reunited with their parent, but that's a subject for another <thread>. I have been battling a new health crisis since my surgery was postponed June 15. There is no way to adequately articulate--even as a writer--the breadth of hardship inflicted on sick Americans by the Trump presidency & Trump-led #GOP, like lame-duck @SpeakerRyan. The @CDCgov cites 133M as the number of chronically-ill Americans who have #cancer, like I do, or another illness that impedes their daily lives. The majority of that 40% of the US population still have to work despite often disabling illness because we cannot afford not to. I've been writing about #healthcare in America since I was a cub reporter and put on a small story in the mid-80s that turned into a much bigger story: #AIDS. When you're in your 20s writing about other 20somethings dying, it changes you. Then I got #breastcancer at 26. @mike_dutoit @ThomasS4217 @traciemac_Bmore @hunterw 2/ And it has to do with the *smallest* contract signed in Sep 2017, Dynamic Educational Systems a subsidiary of Exodyne in Phoenix AZ ($5.6 Million). "Ralph A. Rockow founded Exodyne, Inc. in 1982 and also serves as its Chairman and CEO." @mike_dutoit @ThomasS4217 @traciemac_Bmore @hunterw 3/ "Exodyne, Inc., provides a variety of services to gov'tal, civic, and private orgs. Through 3 subsidiary companies, Exodyne's business interests range from... Dept. of Labor to providing aviation and technical research services for the Dept. of Defense. Immigrant children — some barely old enough to walk, some infants still in their mothers’ arms — being torn away from their undocumented parents as they try to cross the border. 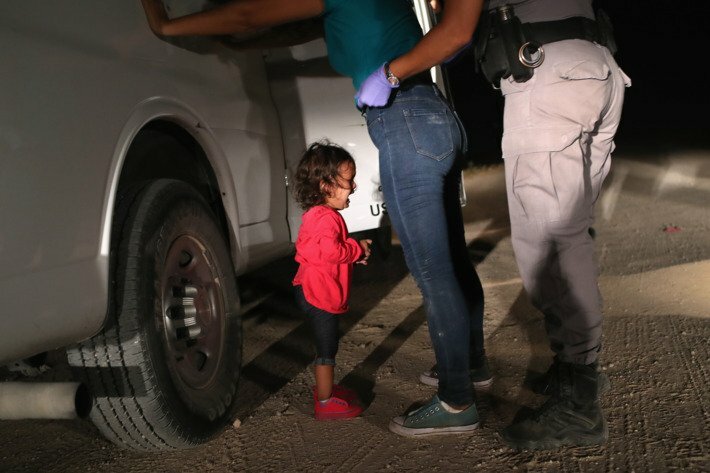 More than 2,000 children have been seized by border authorities in the last six weeks alone. #BREAKING:After THE WHOLE WORLD expresses OUTRAGE over #Trump Admin's EVIL #ZeroTolerance policy, all of a sudden HIS RIGHT HAND MAN . @SenTedCruz is against the policy.Folks don't be fooled,VOTE #TedCruz OUT!! #BREAKING:GETTING RID OF Sen #TedCruz begins with REGISTERING TO VOTE. DO IT TODAY!! #BREAKING:ALSO REMEMBER that the EVIL #ZeroTolerance policy of ripping #MigrantChildren from their parents HAS THE FULL BLESSING OF. @GovAbbott.VOTE FOR DEM. 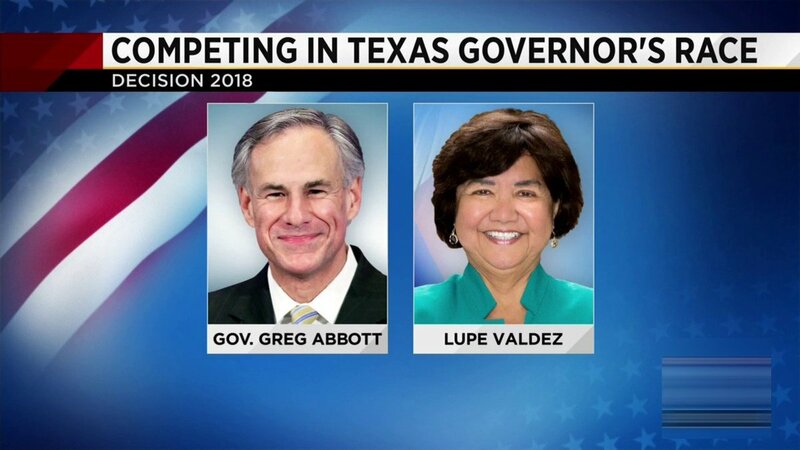 @LupeValdez for Texas Gov! There's a tack that's deadly to the cause and injurious to the truth. And that's what's been provided heretofore. Trump's message must be one of "feeling the pain" of those caught in a situation that Americans feel as well but must be given priority. Think carefully. Meanwhile as the pathetic left continues to grind out the theme of children wrenched from the arms of their parents the rest of the real world focuses on the ever-evolving #IGReport that proves nothing short of astounding to those of us who care about that which is pertinent. A couple of weeks ago, my 8th grade daughter came home from school & told me about assembly they had about sexting. She's public school kid & school does this kind of thing from time to time. But she's upset this time, really shaken by it. I was taken off guard too b/c school usually warns parents ahead of time. So she & sit down to talk.